Nico Prost will leave the e.dams Formula E squad at the end of the 2017/18 season, the team has announced. The French driver has raced for the team, which will be swapping Renault’s involvement for alliance partner Nissan ahead of FE’s fifth season, since the first race of the electric championship. His father – four-time Formula 1 world champion Alain Prost – was a co-owner of the team before he sold back his stake earlier this year. Prost started that inaugural FE race in Beijing on pole and led throughout before he was involved in the infamous crash with Nick Heidfeld at the final corner. The 36-year-old won the Miami race and took a further pole in Putrajaya in FE’s first season, and brought his victory total up to three with a double-win at the season two finale in London. But his triumph in the second London race that season is still the most recent time he has finished on an FE podium. By comparison, his teammate, season two champion Sebastien Buemi, has won six races and scored a further three podiums since as Renault swept the first three FE teams’ titles. “Nicolas has been one of the pillars at Renault e.dams since its creation,” said team owner Jean Paul Driot. “With Sebastien Buemi, they formed a complementary duo of drivers and both have been very involved in the collective performance. “We have had some great times together, especially the three team titles that have rewarded the efforts of both of them. “The time has come to turn the page, after an often frustrating season four and at the dawn of a new chapter in the history of Formula E.
Prost has tested Nissan’s Gen2 car during the initial development of its season five machinery alongside Buemi. He is currently on a six-race pointless streak, and is 18th in the season four drivers’ standings on seven points. 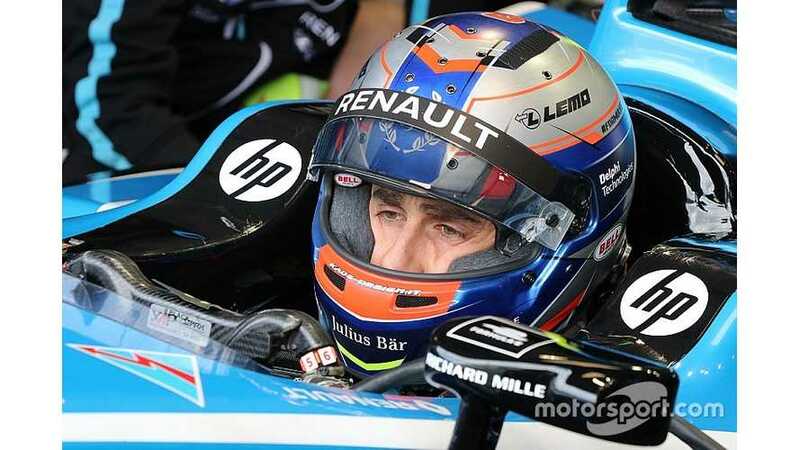 But he put in an impressive performance at last weekend’s Zurich E-Prix, where he qualified just 0.023s behind Buemi. He was running solidly in the points during the race and could have scored a strong finish after several full course yellow penalties were given to drivers running ahead of him. But his second car’s “battery cut out under braking at the hairpin” late-on and he could not restart after nosing the barriers. “I am not only happy to have been with Renault e.dams these past four seasons, I am also thrilled to have been present at the very beginning of one of the most innovative motor racing championships of all time,” Prost said. “There are so many great memories, like my three race wins and the three team titles. “Of course, I regret season four hasn’t gone as well and we believe that it is best that we go our separate ways.